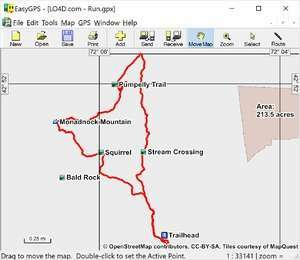 EasyGPS is the fast and easy way to upload and download waypoints, routes, and tracks between your Windows PC and your Garmin, Magellan, or Lowrance GPS. EasyGPS lists all of your waypoints on the left side of the screen, and shows a plot of your GPS data on the right. Use EasyGPS to back up and organize your GPS data, print maps, or load new waypoints onto your GPS for your next hike or geocaching adventure. Version 7.00 is a freeware program which does not have restrictions and it's free so it doesn't cost anything. For security reasons, you should also check out the EasyGPS download at LO4D.com which includes virus and malware tests. Additional screenshots of this application download may be available, too.